The Chinese government today is funding Confucian studies as part of "National Learning" at a rate unequaled since the end of the dynastic period. The history of Confucianism suggests, however, that the goals of the government and the practices of Confucianism are more likely to be at odds than not. What is the history of Confucianism, and why should it matter in a global context? Peter K. Bol is the Vice Provost for Advances in Learning and the Charles H. Carswell Professor of East Asian Languages and Civilizations. As Vice Provost (named in 2013/09) he is responsible for HarvardX, the Harvard Initiative in Learning and Teaching, and research that connects online and residential learning. Together with William Kirby he teaches ChinaX (SW12x) course, one of the HarvardX courses. His research is centered on the history of China’s cultural elites at the national and local levels from the 7th to the 17th century. He is the author of "This Culture of Ours": Intellectual Transitions in T'ang and Sung China, Neo-Confucianism in History, coauthor of Sung Dynasty Uses of the I-ching, co-editor of Ways with Words, and various journal articles in Chinese, Japanese, and English. 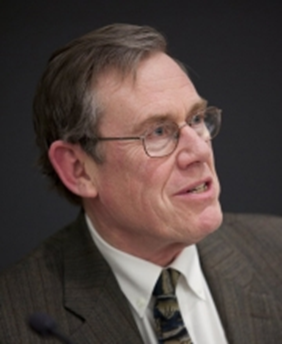 He led Harvard’s university-wide effort to establish support for geospatial analysis in teaching and research; in 2005 he was named the first director of the Center for Geographic Analysis. He also directs the China Historical Geographic Information Systems project, a collaboration between Harvard and Fudan University in Shanghai to create a GIS for 2000 years of Chinese history. In a collaboration between Harvard, Academia Sinica, and Peking University he directs the China Biographical Database project, an online relational database currently of 330,000 historical figures that is being expanded to include all biographical data in China's historical record over the last 2000 years. Please RSVP by May 8, 5 p.m. to peredio@ceu.edu.